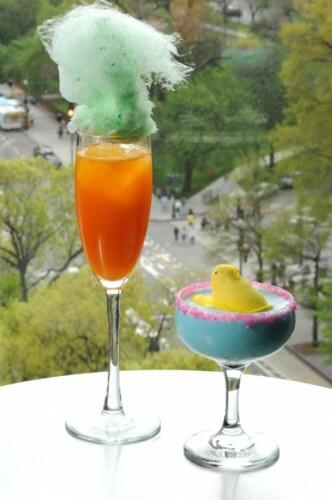 Are you ready for this year’s Easter abomination? Chill and shake the ingredients, close your eyes and think of a peanut butter and jelly sandwich! 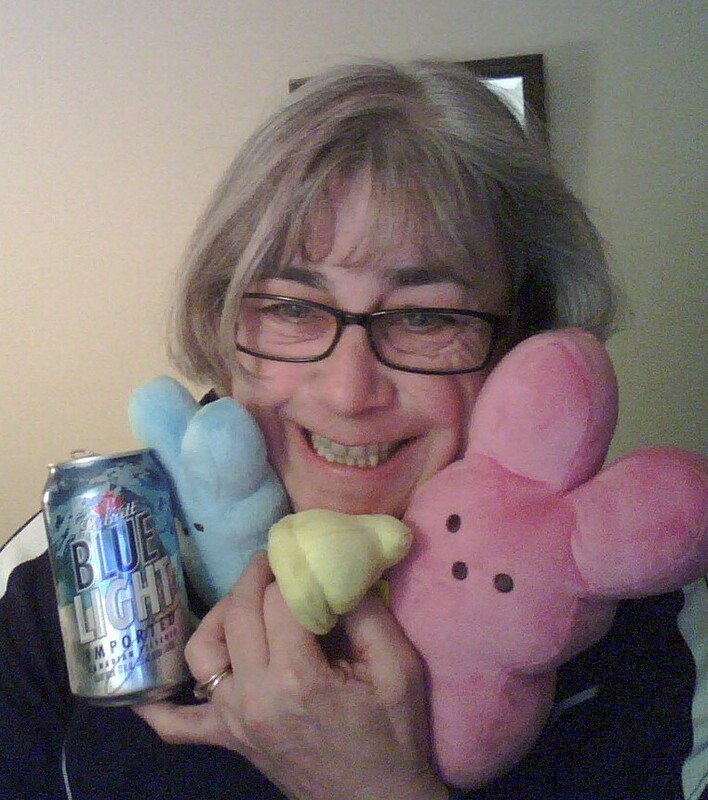 When I get into a scuffle, around Easter Time, I always make sure I’ve got my Peeps On-Hand. Literally. So soft and fluffy, they’ll make anyone want to turn the other cheek! Un-peep-lievable… An explosion of emoji popularity has been one of the hallmarks of 2016, and the “Poo Emoji” is one of the most surprising “break-out” stars. But we didn’t think it would make its way around to our neck of the woods. We were wrong! Check out this outrageous story from Laughing Squid! 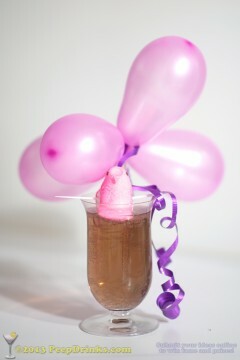 then you’re qualified to have this drink. You also probably have a long beard and think a great way to spend a Saturday night is with your nose buried in a thick instruction manual for some kind of computer equipment that has a lot of blinking lights and noisy fans. In other words, you’re our kind of people! 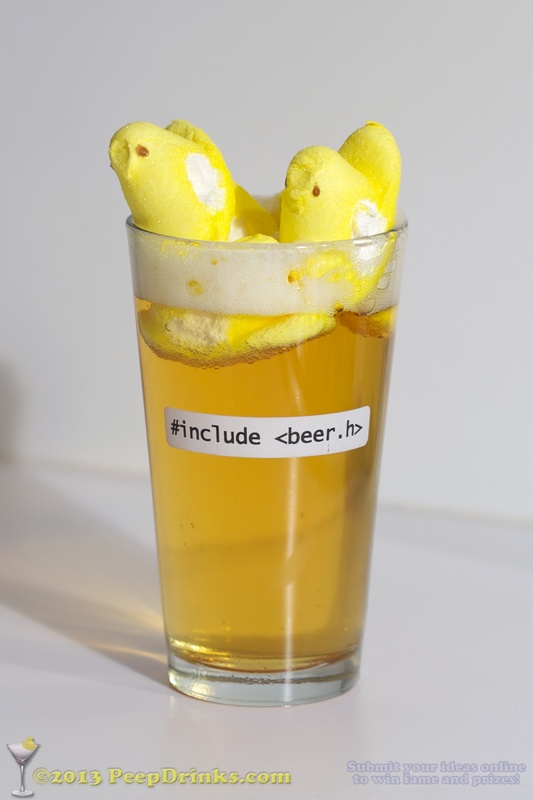 Stop blogging about why one distribution of Linux is subtly better than another, (ahem “orders of magnitude” better than another), and chill out with a few of your favorite peeps. You know, soak the toes. Kick back a few brews. Lose the clothes and hang out with a few friends, just to see what happens. When it’s the shortest day of the year, and you live in a cold climate (as your humble editors do), what are you and your peeps to do? 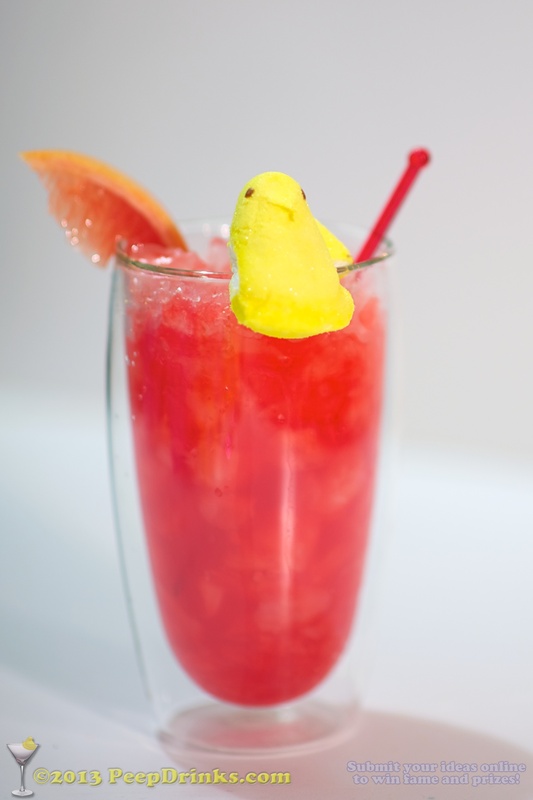 That’s right, it’s time for us snowbirds to migrate, so today’s peep-themed drink special is inspired by the bikers of Daytona Beach, the college parties of Fort Lauderdale, and the Vices of Miami! Enjoy responsibly, and remember “No means No”. 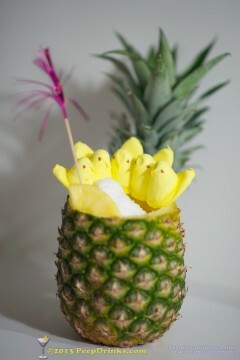 Mix in blender, pour into a hollowed-out pineapple or coconut. Best enjoyed while inside a hot tub. With beautiful people, like you! Ready for a nice long weekend? Bit of grilling, perhaps? BBQ? Juice up the old firepit? Toss some beef onto the heat? Stick an apple into a piglet’s mouth, and give it a few turns on the spit? All food is better when served on a stick! Enjoy with something light and refreshing! 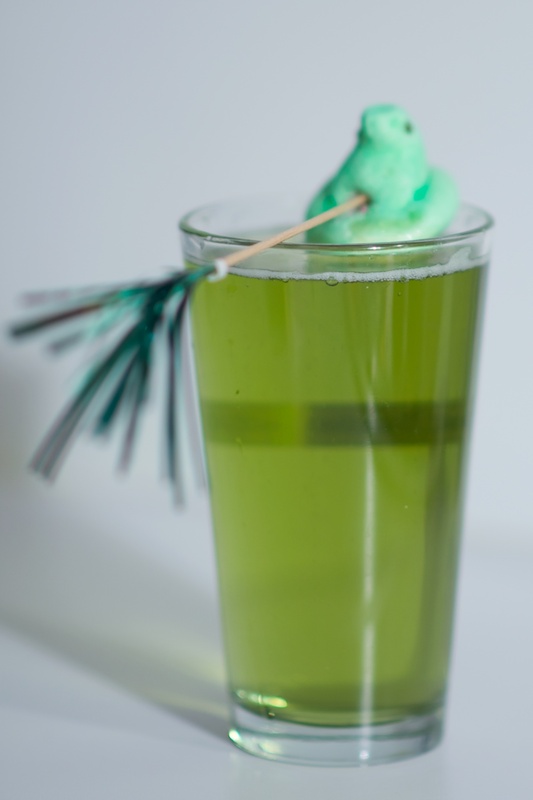 A peeple-pleasing twist on a classic staple beverage – great for “Thirsty Thursday”, and especially refreshing in Spring and Summer! This beer has been through a lot. The Leffe abbey got its start in 1152 in Belgium. Since then, it was destroyed by flood in 1460. Burned down by a fire in 1466. Damaged by a passing army in 1735. Abandoned in the wake of the French Revolution of 1794… and after restarting in 1902 it recently suffered the greatest disgrace of all: It’s now Budweiser. That’s right, it partnered with yuppie-friendly but still-actually-Belgian Stella Artois, and it is bottled and distributed by American shame-of-the-beers Anheuser-Busch. consume like a fraternity pledge! 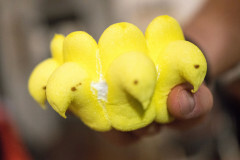 Think there aren’t peeps in Japan? 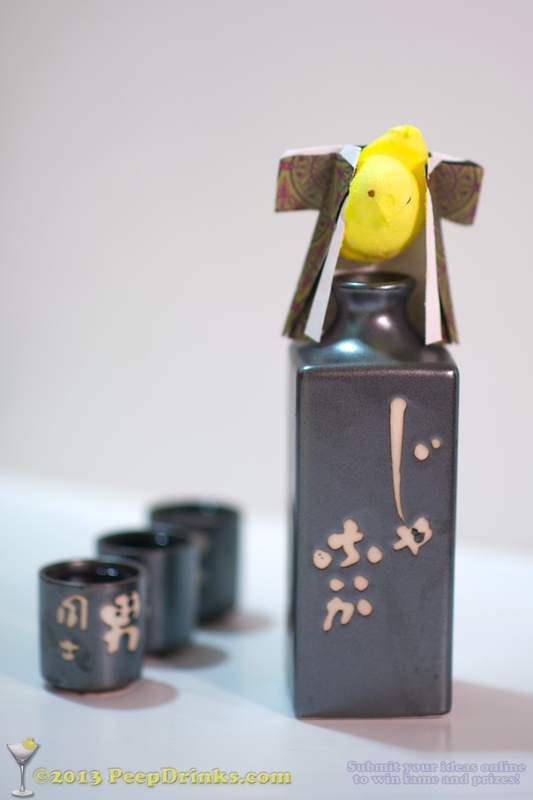 Haven’t you seen the Shochu Peeps? It’s like an Asian invAsion around here! Transport yourself to the Far East with a handmade origami kimono for your most favorite peep, and reminisce about a time when bushido was about more than just cosplay. 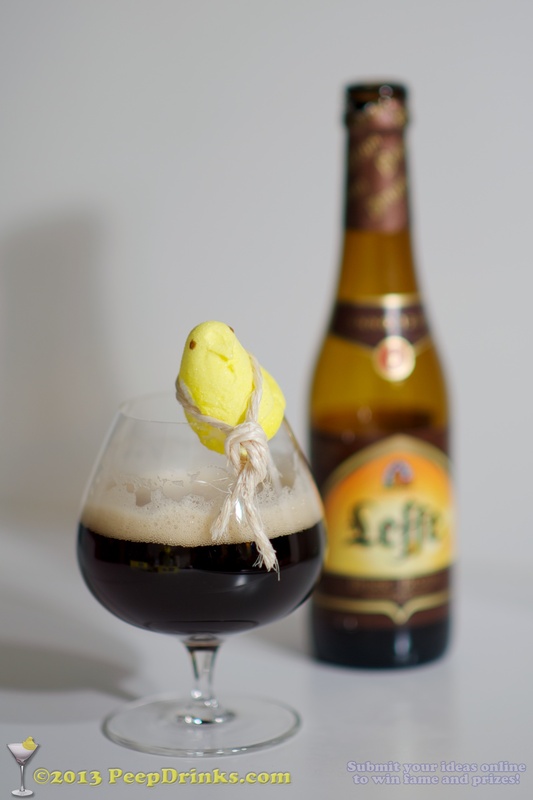 EDITORS’ NOTE: Not to complain, but you wouldn’t believe how long it took us to get this peep to behave for the photo… show us some love, eh? The traditional drink for ear-cutting, hallucinatory, suicidal artistic types, Absenthe needs its turn through the Peep Factory. 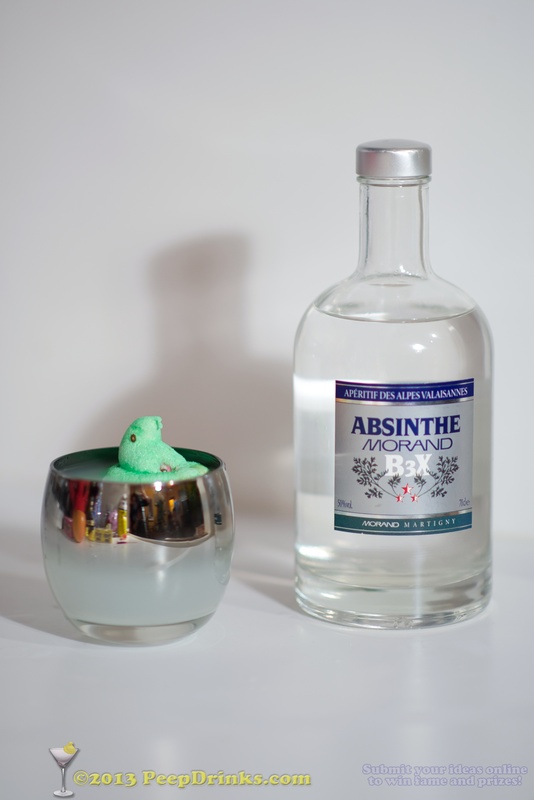 Whether you consider the French or the Swiss to be the “original,” just be sure to use the European “real stuff.” There are some watered-down American versions with less of the trippy wormwood, the mildly psychoactive ingredient that makes it fun. The Japanese call it “Shochu”. The Koreans call it “Soju”. Kinda like the Russians’ “Wodka”. Or the Hillbillies’ “Hootch”. 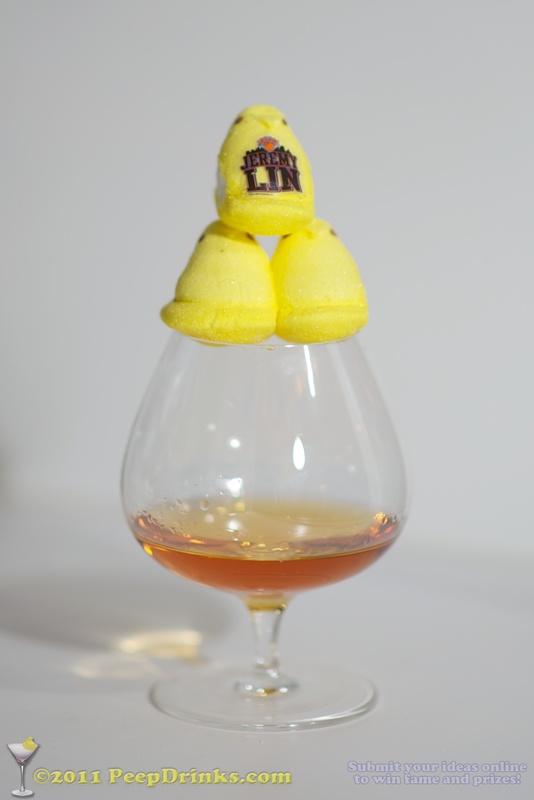 But straight distilled grain spirits by any other name would still be Peeptastic in our book! We choose to plate this with gently steamed broccoli florets, drizzled in a Yuzu Teriyaki sauce. Have this for dessert instead! Many thanks to reader Mary Krawiec for this submission! Enjoying a cold beer with my Peeps, Pete, Petunia and Princess Buttercup. Many thanks to reader Jill Ulinski for this submission! 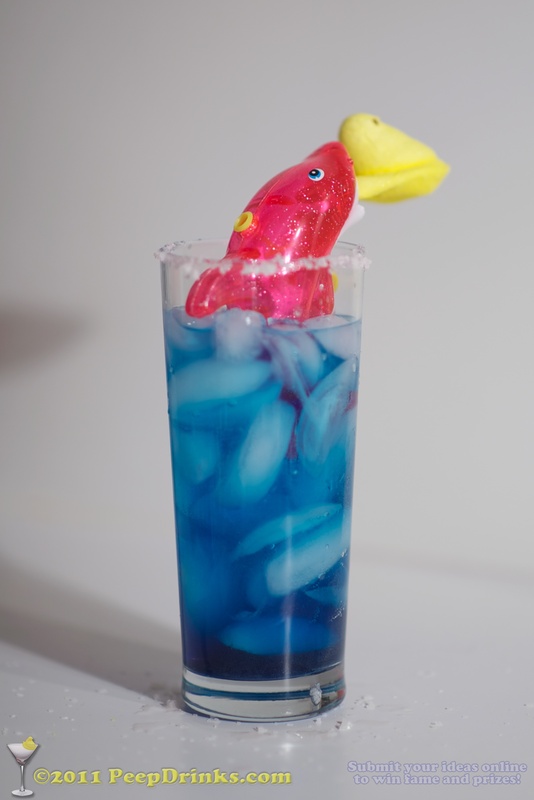 Two parts margarita, one part blue curaÃ§ao, three parts stupidity. How come sports people think cheap brandy is a status symbol? Make a pyramid of cheering peep-leaders, and salute your favorite idol-of-the-minute with our latest abomination. 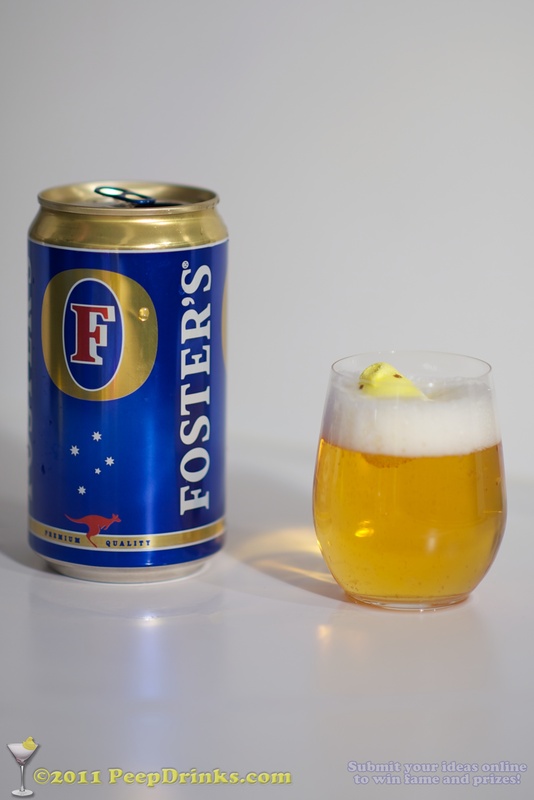 However you “speak Australian”, choose Fosters. 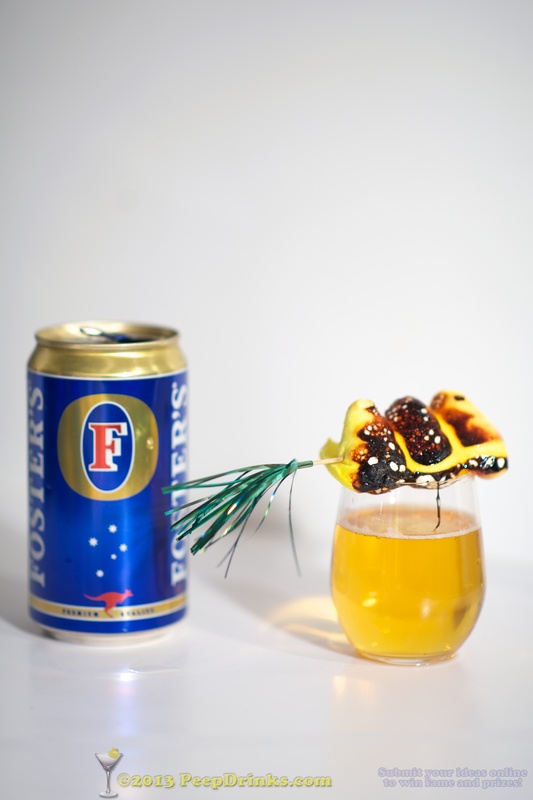 Because it’s the kind of beer that can be improved by anything. 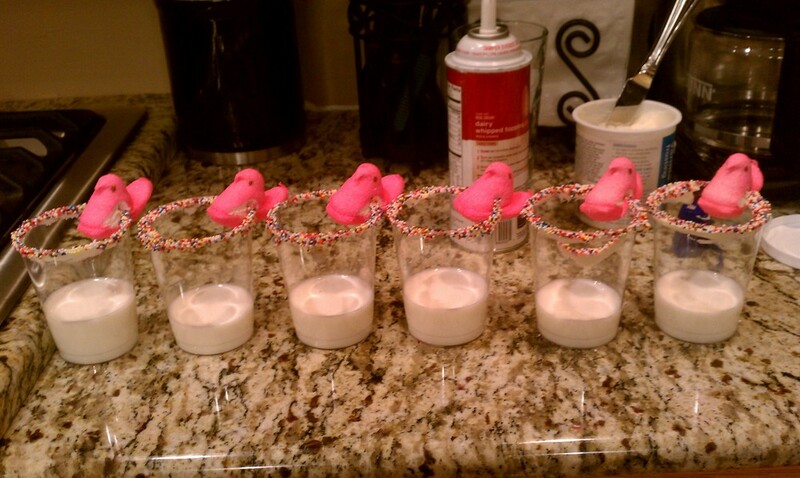 Even peeps. Someone stop me before I get pwned by some big people. And since you are a peep-natic or peepophile or whatever the term would be, you may enjoy the shots a friend took of the plushie peeps I sent her this year at http://karinanotcinerina.tumblr.com/tagged/A_Peep_Show_For_You. It was just a matter of time before this happened. 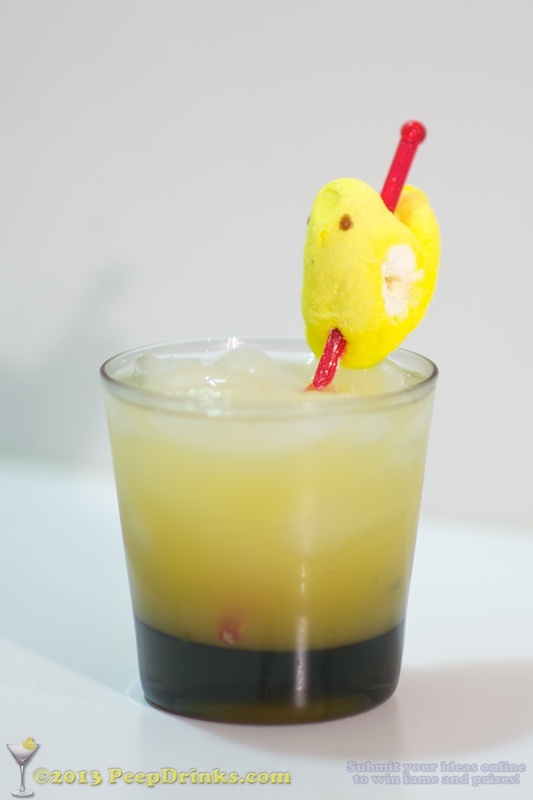 Someone has come out with drink recipes that include Peeps, the little marshmallow yummies shaped like chicks and bunnies, etc. 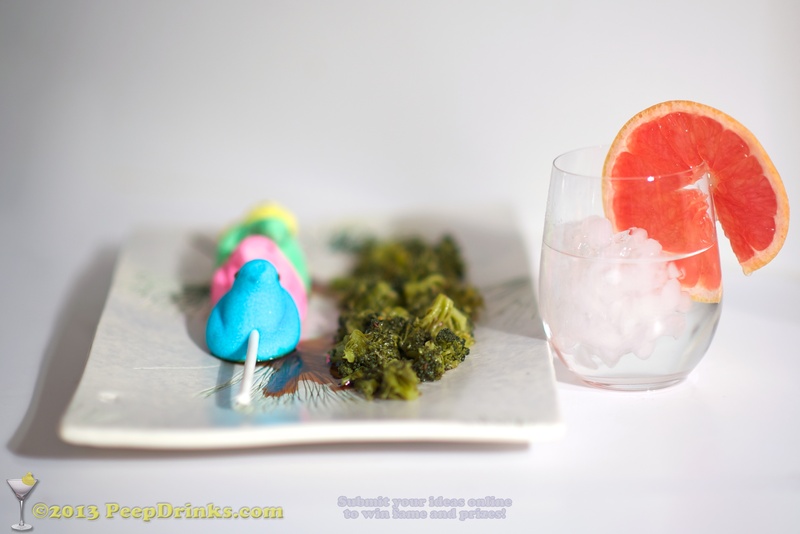 Click here to get recipes for Peeptinis, Melon Peeps, and Ear Royales. Sheesh!